Every breath of air you breathe is swarming with untold numbers of tiny molecular compounds. By the time you're ready to exhale, many of these compounds will have swapped places with molecules in your body via your lungs. Through this exchange, these molecules wind up telling a story of where we've been and the sorts of environments we've been exposed to. Now researchers say breathalizer-type devices might be able to reveal where you've been. Will police start using medical tests to track our movements? The 21st century will a time when people begin to forego blood and urine samples in favor of quicker, easier, and non-invasive methods of testing for human exposure to substances in our surroundings. According to a feature article published in a recent issue of the American Chemical Society's Environmental Science and Technology, scientists have known for over thirty years that the air we exhale contains traces of the particles that we've inhaled from our surroundings, but that our ability to measure these particles has been limited by bulky and insufficiently sensitive equipment. But according to Virginia Tech researchers Andrea M. Dietrich, Masoud Agah, Heather Vereb and Bassam Alfeeli, advances in gas chromatography techniques now allow complex gas mixtures to be analyzed at concentrations of parts per billion (ppb) or less by using so-called "electronic nose" components that are less than a pencil-width tall. The emergence of measurement devices this precise means that breath analysis could soon be used in countless practical applications, from determining whether people have been exposed to toxic substances in their homes, to monitoring vital signs in patients suffering from disease like lung cancer and diabetes. 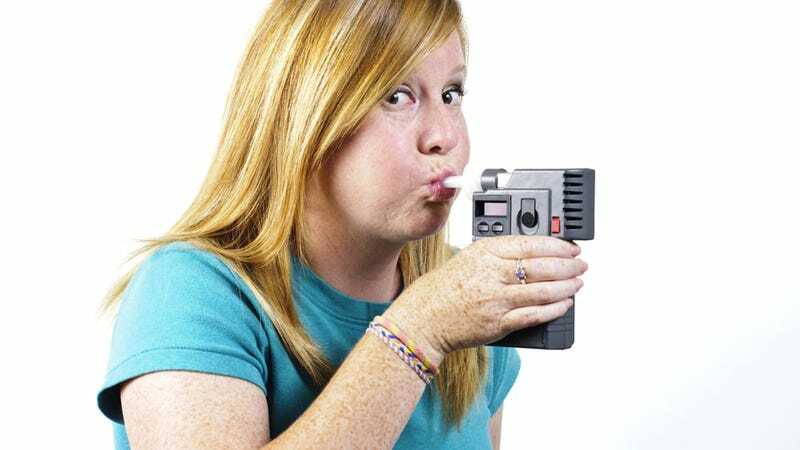 As for me, I'm looking forward to all of the impractical applications of breath analysis. Just think — the ability to detect traces of specific particles on a person's breath means we could soon use something smaller than a breathalyzer to determine not only whether or not someone has been drinking, but also what they were drinking, where they were drinking, and perhaps even who they were drinking with.